For the fifth time researchers and users meet in Braunschweig to exchange ideas on the latest developments on the topic of structural fire engineering – Eurocode design. Due to the increased demand, the topic of fire scenarios and design fires is given a wider scope. The symposium is an effectively scientific supplement to the Braunschweiger Brandschutz-Tage following directly. As last year, scientists, especially young researchers but also engineers of structural design and fire protection with practical experience in structural fire engineering and numerical simulations will be discussing current problems of the fire safety engineering. In addition to scientific issues, such as experimental investigations, development of new models and research in the field of material properties, the focus of the event should be the application of structural fire engineering. Please send an abstract by email to k.bieneck@ibmb.tu-braunschweig.de until 30 April 2018. The contributions are accepted in German or English language. The function of the scientific board is the academic monitoring of the symposium and the assessment of the submitted abstracts and papers. The participation fee is € 90. It includes the digital available conference documents and refreshments during breaks. It will be charged with the confirmation of your registration and account. Cancellation is free of charge until 15 August 2018. In case of later cancellation or nonattendance the fee are not refundable. 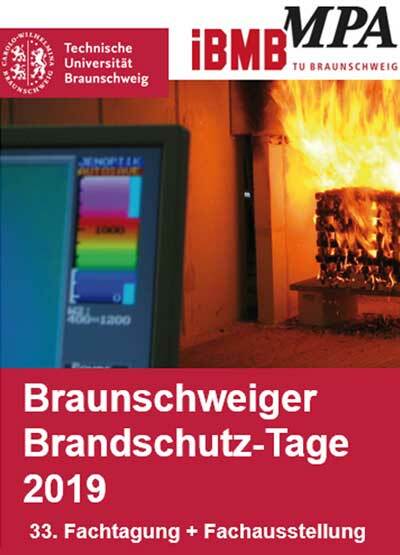 You are requested to apply in time, preferably online on the website of the Braunschweiger Brandschutz-Tage. Here you receive also further information regarding the event and accommodation in Braunschweig.